Imagine sailing the Caribbean Sea amongst clear blue waters. 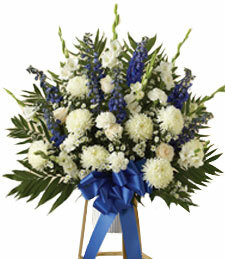 As open and bright as a winter�s sky this exquisite mix of white and blue blossoms would make a stunning surprise gift. 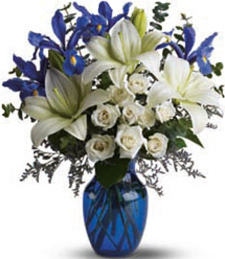 Show your feelings to be true blue with something they will remember for a lifetime. 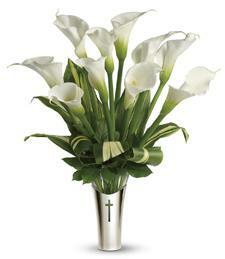 Take a gift from above with a glistening bouquet of Lilies From Heaven. 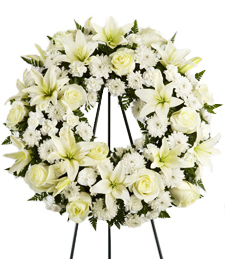 White is the symbol of peace, hope, and eternal love. A spiritual awakening is a cherished moment from the heavens above for grief is a passing state with deep love and genuine friendships. 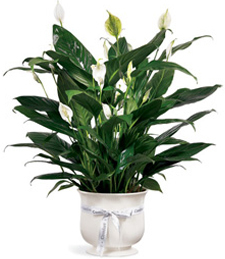 Guide them down the garden of healing with that fresh sweet aroma of billowing florals in that shimmering shade of white perfect for this delicate occasion. 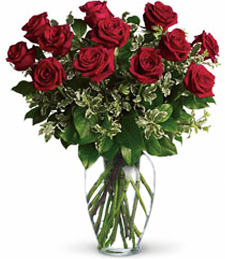 Unconditional love is right around the corner with a touch of Blissful Moments. 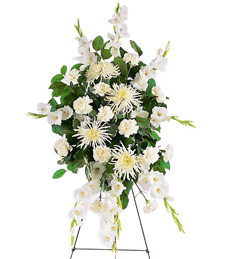 Just like from a shining light from the heaven, white shimmering florals symbolize that Faith in Hope. 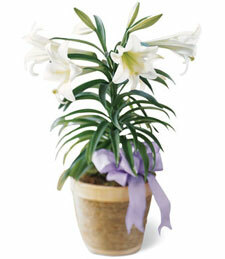 Highlight that delicate moment with a grieving loved one and give them the gift of eternity, peace, and serenity. 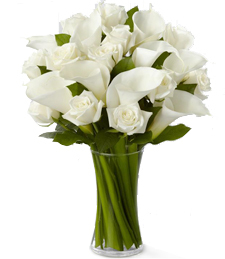 Give the gift of unconditional love with the ultimate flair of luxury in glimmering luscious blossoms in pure white to symbolize that memorable delicate occasion. Ignite that sense of true friendship as if you were right by their side. 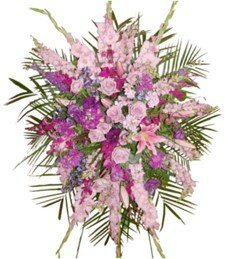 Brighten these dark times with this exquisite standing spray of stunning pink and white flowers. 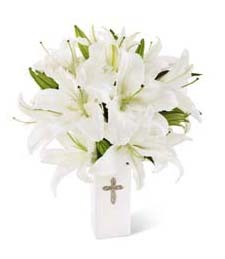 Exuding grace and beauty, these sweet smelling blooms are a loving gesture of sympathy, support and fond remembrance. 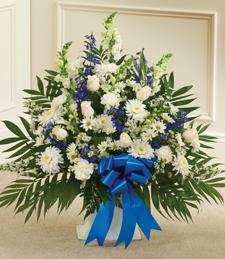 Say farewell to a dear friend or loved one with this exquisite standing spray of blue and white flowers. 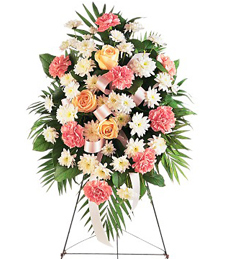 Radiating nature's beauty and grace, these blooms are a truly loving and heartfelt way to express your deepest sympathy, support and fond remembrance. Over the Sky Blue Sympathy..
Reminisce on those nostalgic precious memories with that special loved one that seem to last for all of eternity. 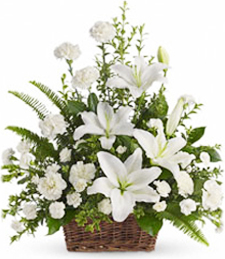 Cherish the moments of unconditional love with a genuine gift of friendship and healing with a shimmering plethora of dazzling blossoms in heavenly shades of tranquil white and sky blue to take away their pain and grief. 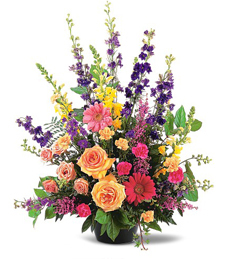 Enter the realm of Bright Moments with a brilliant sympathy basket of brilliant blossoms in ravishing shades of red, yellow, pink, and purple to set liven the moment. 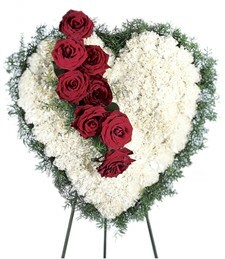 Sooth their grieving soul into a state of peace and serenity with just a simple thought. 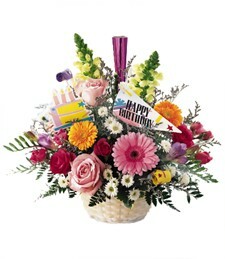 Honor the memory and life of a cherished friend or loved one with this stunning medley of vibrantly colorful flowers. 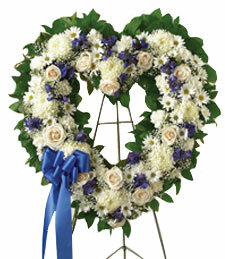 What a heartfelt way to extend your sympathy and support to thhose they left behind. 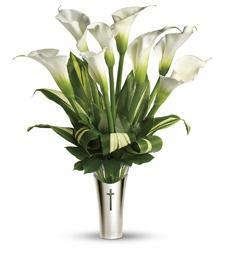 An exquisite token of your deepest sympathy, support and fond remembrance, this stunning standing spray radiates natural beauty and grace. 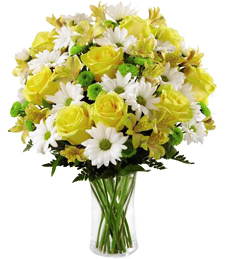 Breathtaking and sweetly scented, these blooms will help brighten these dark times. 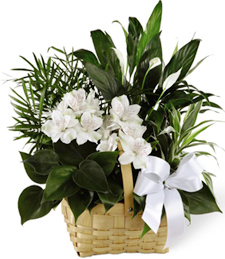 A traditional gift for the spring season, it also makes a wonderful hostess gift for Easter celebrations. 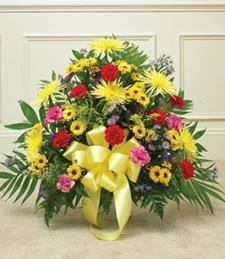 The richness of these colorful blooms will comfort saddened friends and relatives. 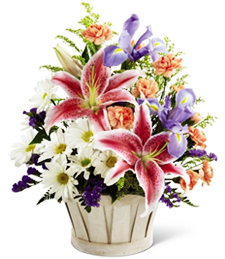 Purple display an air of mystery, sophistocation and sure elegance to aid the grief of a loved one during a difficult time.